How Bare Urea Gel Works? Bare Urea is a highly effective moisturizing gel. It easily penetrates the stratum corneum. Bare Urea gel is a wonderful emollient that softens rough scaly and itchy skin. In the field of podiatric medicine, Urea has many valuable uses. Urea improves fissures, eczema, plaque psoriasis, and keratosis. It has merit in removing dystrophic nails without surgery. 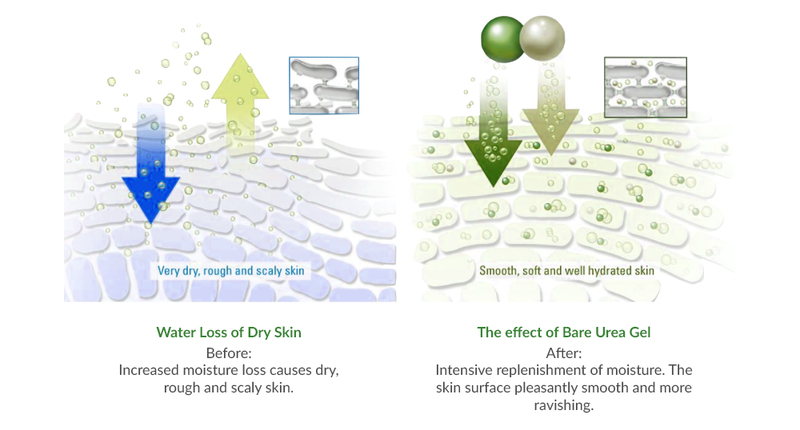 Bare Urea gel is a humectant that is hydrophilic and promotes healthy skin and improves barrier function. Thus, giving great relief to premature skin aging and the dryness that it causes.